Médecins Sans Frontières delivers emergency medical relief to victims of war and disaster, regardless of politics, race, religion, or ethnicity in over 60 countries. 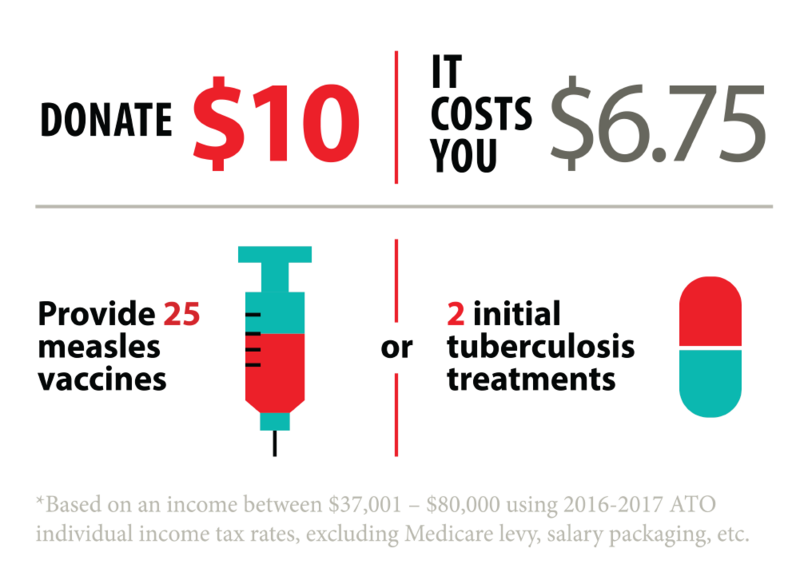 A simple tax-effective way to make regular donations to Médecins Sans Frontières is through your organisation’s Workplace Giving program. Workplace Giving allows you to make a regular donation to Médecins Sans Frontières directly from your gross salary, immediately reducing the amount of income tax deducted from your salary, and no need to keep receipts! Please speak to your Payroll or Human Resources department about Workplace Giving tax benefits and setting up regular payroll donations to Médecins Sans Frontières. You can also talk to your employer about your company’s Matched Giving program, any recent donations you’ve made may also be eligible for a matched gift from your employer, doubling your donation! If a group of 30 co-workers donate $10 each fortnightly pay, that’s a yearly gift of $7,800! If your company matches gifts, that’s an amazing $15,600! If either you or your employer would like information about Médecins Sans Frontières’ work, or setting up regular employee donations to Médecins Sans Frontières, please contact our Workplace Giving team or download our Workplace Giving brochure.